No website about the Australian Alps would be complete without a piece on the Bogong Moth. Attached below is a great overview taken from the ABC Science website (from 2002). Bogong moths migrate up to a thousand kilometres to find a cool summer home in Australia’s southern alps, where they are a crucial source of food for the local wildlife. Despite this amazing journey, very little is known about their basic biology. Early summer barbeques along the east coast of Australia wouldn’t be the same without a visit from one of our most amazing insects. Bogong Moths, Agrostis infusa, migrate over 1000km each year from the black soil plains of Queensland and western NSW to the Australian Alps, seeking refuge from the summer heat. Along the way, they travel by night and then in the morning, drop down to the ground to rest in the shade during the day. Every year, migrating moths find their way into Canberra’s Parliament House, squeezing through air-conditioning ducts and sometimes winding up in the Chamber itself. There’s even the Bogong Moth Motel at Mt Beauty, near where the insects come to stay in the Southern Alps. Where: Darling Downs, Queensland, and the Bogong Plains, Victoria ( near the town of Mt Beauty). The moth’s breeding grounds stretch from inland southern Queensland and northern NSW right down to the Hay plains. 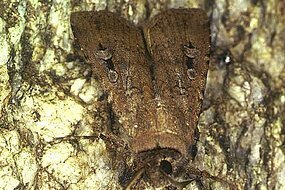 Over 50 years ago the secret life of the Bogong moth was revealed by one of Australia’s great entomologists, Ian Common. He published a paper in a 1954 issue of Australian Journal of Zoology, announcing that Bogongs migrated from Queensland to the Australian Alps each spring. Until then their breeding grounds had been a mystery. In the past, Aboriginal people gathered in the area to take advantage of the temporary food bonanza. Diann Witney from Charles Sturt University says people from many different tribes would come together to carry out business and hold ceremonies. The moths provided a novel source of food. Some accounts say that moths were roasted in hot ashes to burn off the wings and legs, then mashed into “moth meat”, which had a nutty taste like walnuts. Before arsenic found its way into the moths, they made a fine dinner. Here’s a modern adaptation of an ancient recipe. A festival to celebrate the arrival of the moths is still held today, near Albury at Mungabareena Reserve. Held on the last Saturday in November, the festival features Indigenous performers, spear and boomerang throwing competitions, bush tucker and indigenous kids activities. A few years ago, the name was changed from Bogong Moth Festival to the Ngan Girra Festival (which means “gathering place”). Up to 5000 people – both locals and overseas visitors – come to the festival each year. The moths don’t just feed people, they are also an essential part of the Alpine ecosystem. Bogong moth expert Ken Green from the NSW National Parks and Wildlife Service says bogongs are the second biggest ‘energy input’ into the mountains, after sunlight. The animals that benefit include ravens, pippets, robins, many reptiles, fish, the marsupial rat Antichinus and of course the mountain pygmy possum. At the end of summer the moths must prepare for the long trip back to Queensland where they will mate, and then die. Many have not survived their stay in the mountains, or been eaten by predators. The few who flutter back home in February and March don’t have anywhere near the visibility of the thick swarms which headed south in November. There are growing pressures on the moth. As caterpillars, the bogong is a crop pest, and millions are killed each year by pesticides. Perhaps the biggest unknown is the long term impacts of brightly lit cities on the moths’ ability to stick to their migration route.